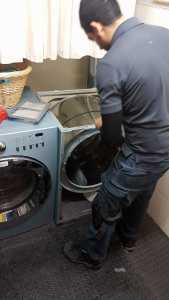 If you live in Vaughan and work downtown Toronto, for sure you have very little time for the house chores, Let alone, when it comes to appliance repair appointments should something break down or need service. We At I-Fix Appliance Repair make sure that our schedule works for you no matter where you live in Vaughan: Thornhill, Maple, Kleinburg, Concord, or Woodbridge. Our approach is different! We focus on fast, effective and inexpensive service for all your appliance repair needs! More important, we are upfront with you on time and cost of appliance repair. If we have doubts – you will know. If we will think to get a new one is better – we will be sure to tell. we are prepared to handle all types of problems and can accommodate any request, any time. On-site, same day repairs are our specialty! It gives us great pride to know that you are back to your daily routine, without unnecessary disruption. Our professional Technicians will always find a solution! If there is ever a situation our repair technicians cannot deal with on-site, we will provide alternatives that will help to get the broken appliance back on track. We will send out for a new part or put in a requisition for further repairs but our main focus is fast and thorough repairs in your place. Whatever we tell you will be the cost, will be the cost! There are no hidden fees and regardless of how complicated or how long it takes to fix, the fee discussed prior to start will be honored. And our clients love that! With a 24 hour phone line, it is no problem if you live in Vaughan. Our local Vaughan Appliance Repair technicians are fully licensed and will arrive as soon as possible! Have you noticed that your refrigerator or dishwasher is malfunctioning? Call our phone line and talk to a local Vaughan representative. Have you heard a funny noise coming from your washer or dryer? Just call us and we will send a Vaughan-based technician to your home! We also recognize know that not all our customers have the newest appliances. Sometimes you might think your appliance is broken beyond repair. Call us and get the second opinion! Highly experienced in diagnosing any problem and fixing any part, no matter what age, our technicians are there to get the job done! Let us stop by for an assessment and then, based on actual facts you will be able to take an informed decision – to fix it or replace! Our only advice is that you don’t put the call away until it’s too late! Sometimes, you may think the problem is only temporary, but please do not hesitate to double check with us. The sooner we can diagnose and fix the problem, the less it will end up costing. And don’t worry if you have a complicated daily schedule – we will work around whatever is convenient for you! At I-fix Appliances we offer fastest and most convenient service possible!